SWISS is Switzerland’s flag-carrier airline operating services within Europe and to the Americas, Africa and Asia. Its main hub is Zurich Airport, with a focus also on Geneva Airport. SWISS is a member of the Star Alliance group of airlines and a subsidiary of parent company Lufthansa. SWISS has agreements with most of the Star Alliance carriers as well as a few SkyTeam and oneworld carriers, including Air Canada, Air France, Austrian Airlines, Croatia Airlines, Egyptair, Helvetic Airways, LOT Polish Airlines, Singapore Airlines, TAP Portugal, Turkish Airlines and United Airlines. Passengers travelling in SWISS First Class enjoy exclusive check-in, priority boarding, higher baggage limits with priority handling and triple miles for Miles & More members. The seat is 55cm wide and 200cm long. It can be turned into an armchair, a table for two or a flat bed with mattress and privacy partitions. Integrated air cushions can be adjusted to suit the individual. 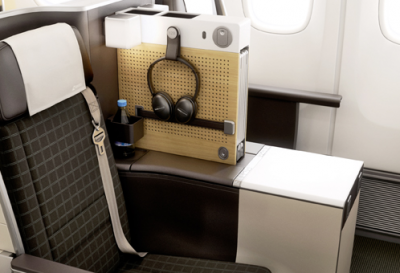 The A340’s are equipped with a 10-inch personal TV and 110V power connection (on the A340 you’ll need an adapter for the 3-pin Swiss plug), while the A330’s additionally offer iPod & USB connectivity and a significantly larger 23-inch screen. 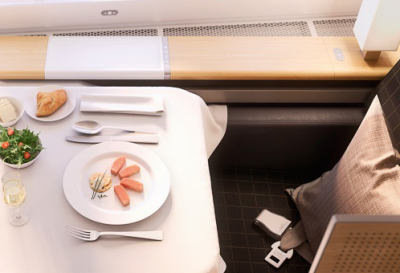 SWISS has an extensive menu available to First Class passengers on a la carte basis, leaving you to decide when you are ready to eat. There will be a starter, main course & dessert along with a selection of wines, champagne and coffee. 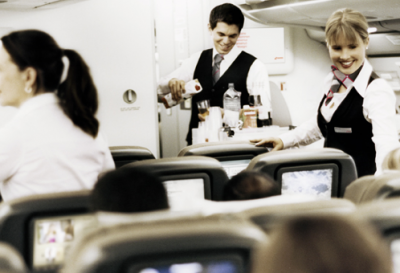 In-flight entertainment is on-demand and includes a range of films, music and games. You can also get to work if you wish, using the in-seat phone to make calls (at a fee of USD$11 per minute). The Amenity Kit is from Bally and contains socks, eye mask, toothbrush & paste, tissues, ear-plugs and products from the high-quality SWISS brand La Prairie. Extras include pj’s by Zimmerli. If you’re in SWISS Business Class you’ll receive exclusive check-in, priority boarding, extra baggage and priority handling. Your seat converts into a 200cm flat bed with an integrated massage function. The meal service is individual and based entirely on your needs. A welcome drink on arrival is followed by either a light Quick Meal or several courses including wine. There’s also a selection of snacks and ice cream if you’re feeling hungry at other times during the flight. In-flight entertainment options are similar to that in First mentioned above. Your Comfort Kit includes the essentials and in winter includes a scarf or beanie. Read our review of flying SWISS Business Class. Economy Class on SWISS is comfortable with seats on all aircraft having adjustable headrests. There is also the opportunity to select a specific seat ahead of time in the preferred zone or with extra legroom (at a fee for both). There will be a choice of two hot meals during the meal service on long-haul flights, with drinks, wine & spirits included. Children’s meals and special dietary requirements can be requested ahead of the flight, and are free of charge. Again, in-flight entertainment is on-demand and features a wide variety of choices. SWISS offers ‘SWISS Choice’ to Economy passengers allowing you to make advance seat reservations, arrange a special surprise for a fellow passenger such as a celebration cake on their birthday, pre-order duty-free and book an extra piece of baggage. All of this is done directly online with the airline and some services attract a fee. Read our review of flying SWISS Economy round the world with children. As of August 2015 SWISS operates a fleet made up entirely of Airbus aircraft, the majority being A320-200’s and A340-300’s. Each aircraft is named after Swiss towns and cities with the names featured on the fuselage and the cabin interior showing the coat of arms of that city. In March 2013 SWISS ordered six Boeing 777-300’s, due for delivery in 2016 and the first Boeings to enter the fleet. The airline has confirmed that all new Boeings will have an upgraded First Class cabin with eight private suites featuring 32-inch personal TV screens, 62 Business Class seats which will convert into fully-flat beds over 2m long, and 270 Economy Class seats configured in a 3-4-3 layout.